You might be aware with Aggregate function like MIN, MAX, SUM, COUNT etc. there are many types of Aggregate function supported by Microsoft SQL Server 2005 along with CLR Aggregate function. This is new and amazing feature which helps you create your own customize AGGREGATE function with the power of CLR and use it in SQL Server 2005. Isn’t it amazing? Yes, It is. Let us have a journey of creating CLR SQL Server Aggregate function to implement it in SQL Server 2005. I have created COUNT aggregate function. It is actually inbuilt function but this is to give demo of creating aggregate function in SQL-Server 2005. 3) Select “SQL Server Project” from right side panel. 8) Give name to it. I gave “TestAGGR” then click “ADD” button. After following above steps, you will see TestAGGR.cs file with some necessary namespace and methods. Here is the brief description of those methods. Accumulate(): will accumulate core logic and run per records. Merge(): merge data from different method together. Terminate(): finally returns the value. Once you done the above code in visual studio, build the project and copy the TestAggregate.dll from your BIN folder of your project and put it in “D”drive. Now, we have done with Visual Studio and we will be moving to SQL-Server 2005 SSMS. I was Inspired to write this article by TECHNET and MSDN website of MICROSOFT. You must have heard the terms “Web Service”. This is not something new. People used to read and write many things about this term from year of 2000 for Microsoft Technology. It was inbuilt tool in .NET Framework but it is bit new concept in SQL-Server as it has been implemented from Microsoft SQL-Server 2005. “Web Service” is known as “HTTP ENDpoint” in SQL-Server. It has opened the door for cross platform compatibility. If you wants to built WebService then you have to have IIS server but in case of HTTP EndPoint, you don’t need any IIS server rather it is directly hooked up with kernel mode driver “http.sys”. Yes, it has some security concerns and issues but there are also some mechanisms to prevent the security thread. You can use SQL-Server function or else SQL-Server Stored Procedure along with HTTP Endpoint. 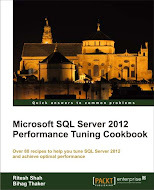 You can create two type of end point in SQL-Server 2005. 1. )TCP Endpoint and 2.) HTTP Endpoint. Let us see how we can define HTTP Endpoint and can use it in Windows application in C#.NET. First let us create one simple stored procedure for Adventure Works database. This is very simple stored procedure one can ever make. J Now it is time to implement this stored procedure in ENDpoint. PATH = ‘/SQLENDPOINT’, –virtual path, will be used in adding reference in web or windows app. As soon as you will done with creating this Endpoint, we will move forward to implement this in windows application. 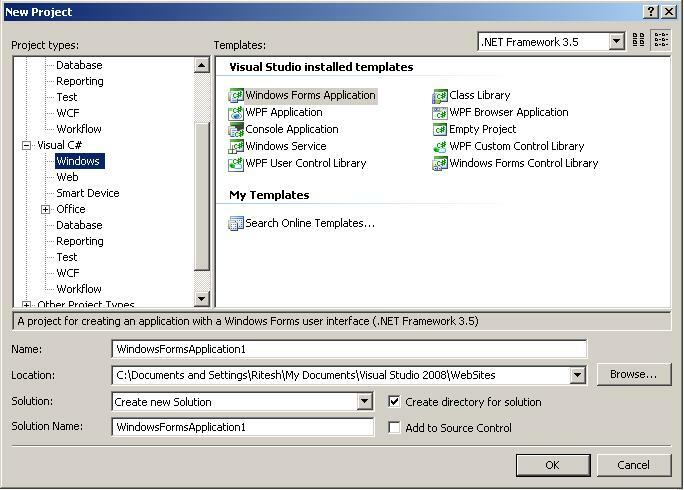 Here are the steps to implement HTTP Endpoint in your Windows application in Visual Studio 2008. —Draw One button and dataGridView in your webform. — Add reference of HTTP Endpoint in your application. Right click on your project name in Solution Explorer and click on “Add Service reference”, you will see on dialog box and you will have to click on “Advance” button at left bottom corner and you will see another dialog box like below. —Click on “Add Web Reference” button from above dialog box and you will see final dialog box from where you will have to find your “HTTP Endpoint” you created in SQL-Server 2005. Once you final add the reference, you will have to code following snippet under the click event of your button. Hey, you just finished your first HTTP Endpoint. What are you waiting for? Runt it now!!! !